We were commissioned to organise and art direct the first photoshoot for Open Blue which would position the brand at the top end of the international market, portraying the quality and utmost respect which flows through every stage of the Cobia harvest by establishing a distinctive, ownable visual style. Working alongside photographer Uli Schade, food stylist Peta O’Brien and props stylist Sania Pell we have built a portfolio of images for Open Blue to celebrate the sustainability, versatility and finesse of the Cobia, with the styling as aspirational and directional as Open Blue. Open Blue, a Canadian based seafood company, is a world leader in innovative and responsible mariculture solutions which respect the ocean and enrich lives. We were commissioned to produce a visionary set of images for Open Blue which would not only position the brand at the top end of the international market, but visually communicate their innovative approach to mariculture and the future of food. The images for Open Blue celebrate the sustainability, versatility and finesse of the Cobia, with styling as aspirational and directional as Open Blue. 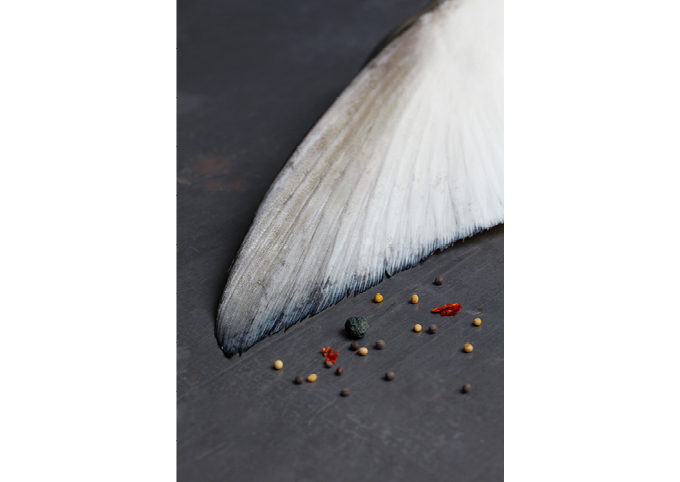 Photographer Uli Schade, Food Stylist Peta O’Brien and Props Stylist Sania Pell.